We are Kembali designs, a non profit design company that has created a small-scale ‘system’ addressing environmental issues in an Indonesian/global context. Our design concept developed from experiencing rural and urban Indonesian life and the difficulties these areas face in addressing consumption and waste disposal as the Indonesian economy develops. Inorganic materials have quickly replaced traditional bio-degradable options and there is a divide between the embrace of these materials and development of sufficient waste infrastructure. The International Development Research Centre) reports 55,000 tonnes of waste is produced in Indonesia’s urban areas everyday (MacMillan 2007). It is poorly managed and often burnt, leading to further air pollution. People also make money from trash picking as a result of this poor disposal management, however due to lack of government infrastructure and support, this often results in the creation of illegal, irresponsible dumping sites. To counter the vast issues surrounding waste we have created a small-scale solution by working within the trash picking community – changing their practice to one which values and incentivises proper collection, sorting and disposal through weekly, localised workshops. We also provide information packs that provide this information and tools for better and safer practices. It is integral for this informal sector to be integrated into larger waste management solutions, and Kembali facilities and incentivises this. Although the sale of large-scale consumer waste has been often opposed from those relying on trashpicking income, we work with both communities and businesses to find compromise. Water bottle brand Aqua founded recycling cooperatives in Tangerang, Bandung and Bali, where around 5,000 trashpickers are employed and have access to social services (GBI 2014) – an example of a relationship Kembali would facilitate. To fund the program, we chose to employ traditional skills to create a high quality product to sell in a global market. 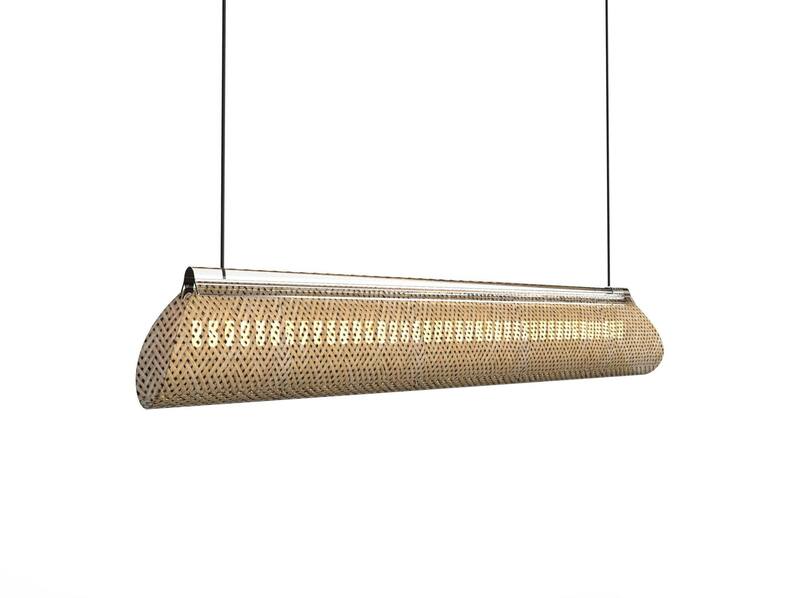 The choice to create a product doesn’t immediately address garbage or trash, but addresses the waste of a neglected material; bamboo. Kembali aims to change the stigma surrounding bamboo, which locally will help proliferate its use and replace wasteful alternatives like teak furniture and concrete or brick housing. It also offers alternatives to plastic or metal designs that are harder to recycle and involve detrimental industrial processes. The creation of a new product, rather than an up-cycled product, also increases profit margins – funding our workshops and incentives. Bamboo will treat you well if you use it right. Bamboo has been used in tropical regions for 1000’s of years. However, untreated bamboo gets eaten to dust, that why most people, especially in Asia believe that you couldn’t be poor enough to want to use bamboo. 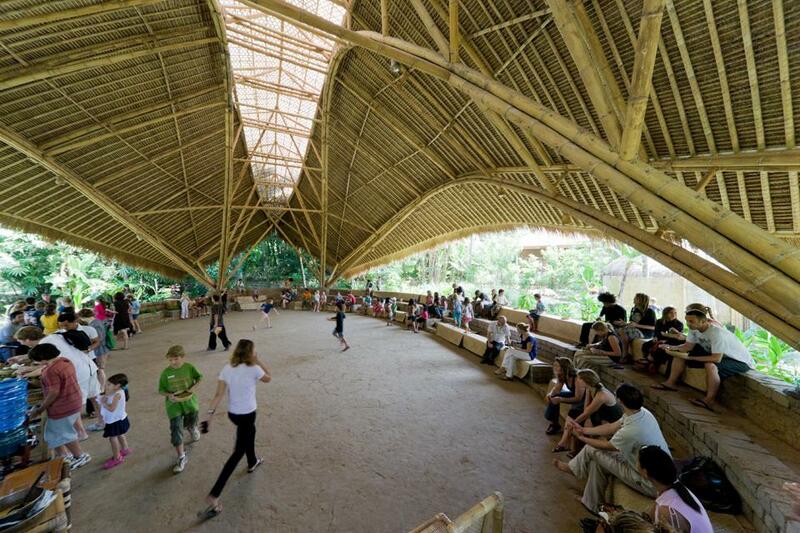 This is evident when travelling around Indonesia, you don’t see any bamboo being used in buildings or products. Bamboo forests do not require any fertilisers or pesticides, let alone any modest capital investment. Using safe treatment solutions such as Borax, a natural salt that will turn bamboo into a viable material. 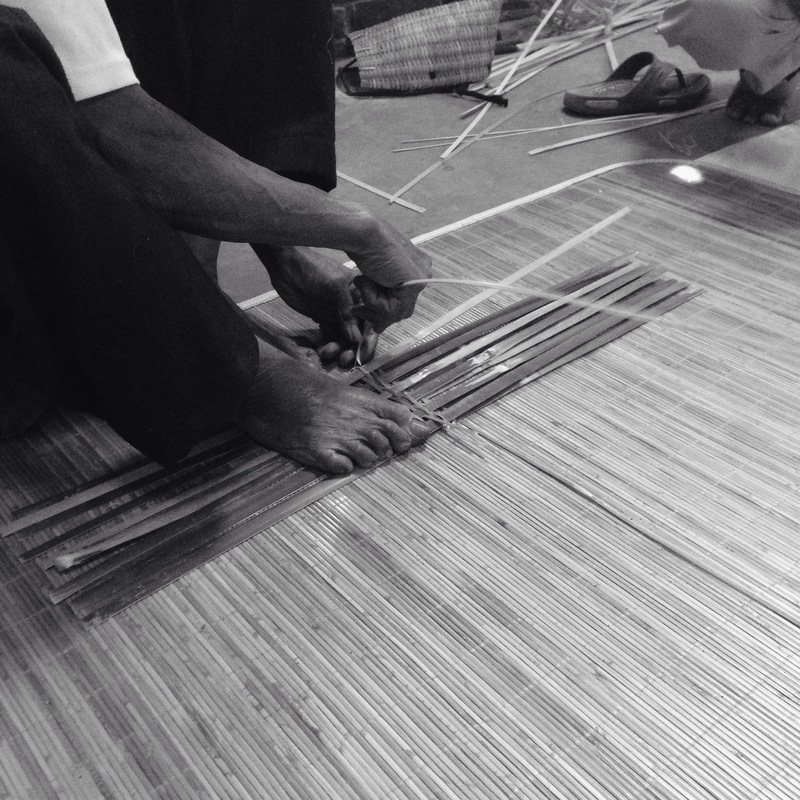 The Indonesian culture fosters craftsmanship, and values the artisan. At Kembali we are combining the two with locally trained designers. In turn we hope to change people’s minds. Our designers respect the material and design for its strengths. At Kembali no bonding agents or adhesives are used in the production of design to be more eco-friendly. The addition of secondary materials such as ceramic and glass establish a modern design for the global market – materials collected by our employed waste pickers and then refreshed in partnership with local businesses such as Indo Porcelain and BBC Glass. These materials are updated and re-redesigned annually. 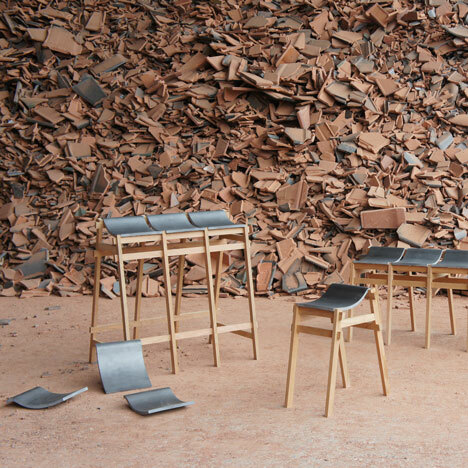 With the increase of e-waste, future secondary materials will include metals such as copper and aluminium, allowing Kembali to be an iconic and dynamic brand. Facebook and Instagram are integrated into Kembali Designs model to disseminate ideas and awareness to a larger audience, greater than villages targeted through workshops. Social media is also used to market Kembali’s product range and foster interaction between buyers and artisans; QR codes link the buyer to information about their specific artisan and create a positive brand experience. Kembali fosters relationships between formal and informal waste management systems, and promotes awareness of waste issues in Indonesia through various platforms with the aim of empowering people and eliminating this environmental and social problem. MacMillan, N. 2007, Community Solutions for Indonesia’s Waste, International Development Research Centre, viewed 10th July 2015. Global Business Indonesia 2014, Sweeping Opportunities in Indonesian’s Waste Management Industry, Global Business Indonesia, viewed 10th July 2015. In 1982 Australian focus was shifted toward Indonesia due to a joint project between the Australian Film Commission and Metro-Goldwyn-Mayer. It was the film “The Year of Living Dangerously” which starred Australian actors Mel Gibson (as Guy Hamilton), and Noel Ferrier, set in Indonesia 1965, during the short lived overthrow of President Sukarno by the 30 September Movement. Hitting cinemas only seven years after the death of five australian journalists at the hands of Indonesian special forces, the film took Indonesian-Australian relations from political news to pop culture. Although approached from a Western view, there are numerous aspects of Indonesian culture conveyed and explained, through both the plot and characters such as Billy Kwan, who implores the journalists to tell the real story, perhaps a criticism of the way the West reported and continues to report on Indonesia. Kwan highlights aspects that are all interesting for differing reasons, the Wayang, political puppetry, and Western attitude to Indonesians. The attitude of the western reporters toward Indonesians in the film; indifferent or treating them as sexual objects, is strikingly similar to the current Western indifference, or even derision toward immigrants in a hugely similar position to those in the film, hungry and desparate. The Year of Living Dangerously is an interesting and critical insight into the West’s interaction with Indonesian culture, featuring Australian links to contextualise and also criticise what we are seeing. Many issues brought to light in this 1982 film are still relevant today, 30 years later, and show that much needs to be done to strengthen and fix the relationship between both countries. The question of what design means in different contexts can be taken in two ways, both questions unveiling important ideas about design. The way in which we can view this question is; what does design (the process), and what does design (the artefact) mean in context. It is important to make this distinction as they both pertain to the use of the final design, but the stage at which the context dominates, determines use. 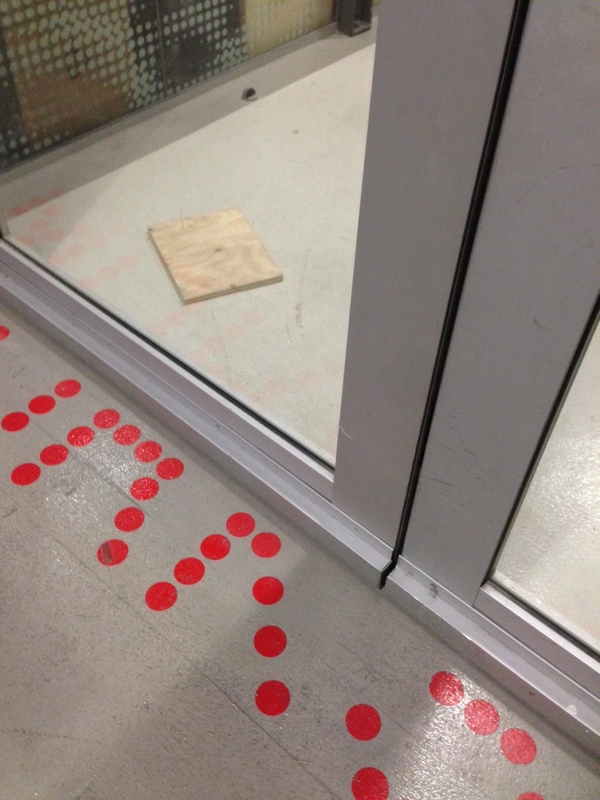 Recently I observed a piece of plywood between the two doors of the university workshop, acting as a doorstop. Previously this timber was a lamination of veneers, designed for use in applications needing large, flat areas of timber. The user did not design this by process, but by action. Context entered the design process late into the artefact’s life; The timber became a door stop by being placed into a context. This was design at an improvised, consumer level, design defined as a “purpose … that exists behind an action” (Oxford Dictionary 2015). Design where a pre existing artefact’s purpose is defined by context, rather than context informing the design of the object. Conversely to the plywood door stop, Dutch Design studio Droog Design’s roots lie in a range of objects whose context was at the start of the products life, informing the design process. 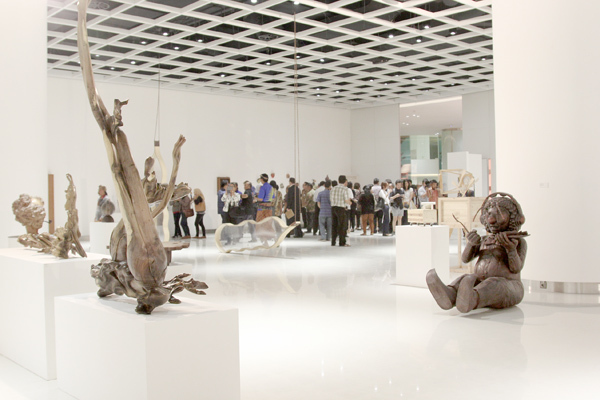 “The products were exciting … they said something about the context in which they came into being” (Ramaker 2002). 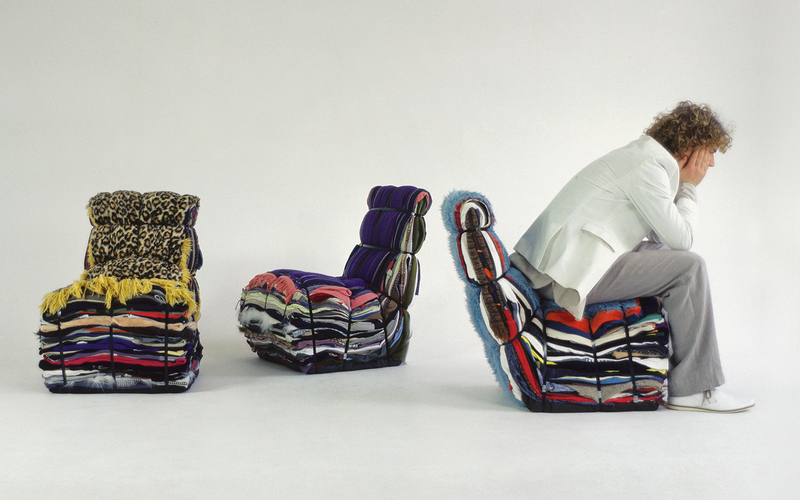 Renny Ramakers, Droog cofounder cites a critique of 1990’s design as the start of Droog, an aversion to products presented under the banner of ‘Design’, and a use unconventional materials, style and construction. Context entered into the door stops life at the final stage, whereas context entered into the development of Chopsticks and Droog design at the very end. Context can inform construction, or it can inform use, both influencing ‘design’. The stage at which context enters the artefacts life determines its form, refinement, purpose.